Sorry for the poor quality photos!! I had to use my phone for this post. 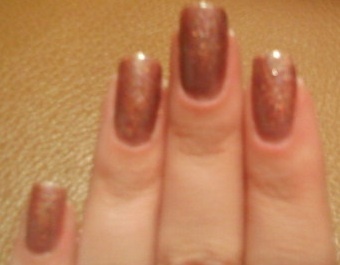 This is just a simple swatch of Illuminate by OPI. 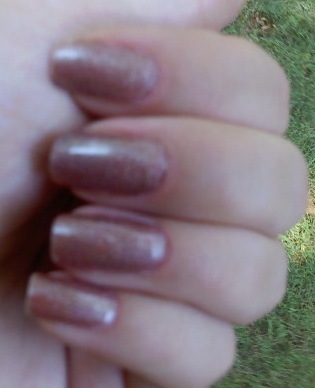 I thought it was a glitzed-up brown; sort of neutral yet different at the same time. Do you like it?